It’s rather clear that the 1950’s was the dawn of the Music Industry as most of us know it. Rock n Roll and Pop began in the 1950’s era. However, I’d feel kind of dumb naming off the music stars of the 1950’s, because there really isn’t a man, woman or child alive who hasn’t heard of Elvis Presley, Buddy Holly or Chuck Berry (to name a legendary few). To write a blog explaining who these people were is like teaching the Alphabet to pre-schoolers. It’s all redundant stuff that we’ve heard before from Day One. Like the artists themselves, we have all heard of their Number One Hits: “Hound Dog”, “That’ll Be The Day”, “Johnny B. Goode” and so on… And in that case, it would also be redundant to discuss the songs that these legends produced. So that doesn’t leave me with much of a blog, does it? 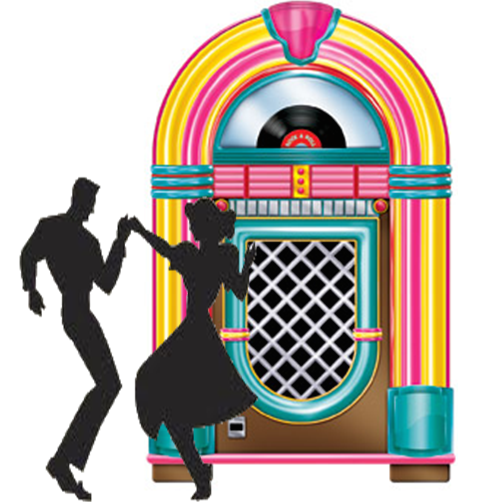 Well, perhaps (I thought to myself) that instead of re-hashing all the biggest hits of the 1950’s, I could write about lesser-known tunes that were also popular back in the Golden Age of the Juke Box. The following songs might not be the ones that you’d frequently pay a dime to hear, but they were out there, all the same. The first song that comes to mind is “Peggy Sue Got Married”. No, not the movie. The song. In 2016, I bought a 3-CD set of The Very Best of Buddy Holly and The Crickets. You can imagine my surprise when I found out that the movie I remember seeing on video as a child was actually a song first. The song was/is actually the A-Side of “Crying Waiting Hoping”. Of the two, “Crying Waiting Hoping” was what became another one of Buddy Holly’s most well-known hits. (You probably already knew that.) But, if you’re like me, and managed to live 30+ years without even knowing there was a song called “Peggy Sue Got Married”, go check it out. Like everything Buddy Holly wrote, it’s a true masterpiece and has a beautiful (albeit short) guitar riff. The movie poster for the 1986 film Peggy Sue Got Married starring Kathleen Turner. The movie title is based on the song, but the character is different. Speaking of girls’ names, you’ve probably heard of “Maybelline” (no, not the drug store make up brand) the song, by Chuck Berry. But ole Chuck had another song that I don’t believe is quite as well-known and that’s the up-beat rockin’ hit, “Carol”. “Carol” was released in 1958 on the B-Side of “Johnny B. Goode” which out-shined it. Still, “Carol” is a great song and another classic that’s just a tad less well-known than the other hits of the now late – but always legendary – Charles Edward Anderson Berry. Chuck Berry sang about “Carol” too! Then there’s our leather-wearing rebel Eddie Cochran. There are few songs as well-known to all ages as the famous hit “Summertime Blues.” But before about a year ago, I could not, for any amount of prize money, name another song by Eddie Cochran. Lately, however, I’ve been far more into Rockabilly than ever before. So now I know that like Buddy Holly, Eddie Cochran must have spent most of his very short life in a recording studio. He recorded at least 40 songs. Ones to check out are “C’mon Everybody” (which, I can imagine must have caused outrage among the conservative parents of the 1950’s), “Somethin’ Else” (written by Cochran’s fiancee, Sharon Sheeley) and “Nervous Breakdown”. They all have shades of “Summertime Blues” in them, but they are all uniquely Eddie Cochran and it’s no wonder that to this day he has such a strong following. Summertime Blues singer Eddie Cochran (1938-1960) recorded many great lesser-known songs in his short lifetime. Next up is Jerry Lee Lewis who is known for the hit “Great Balls of Fire” and “Whole Lotta Shakin’ Goin’ On”. But did you know that Mr. Lee Lewis recorded well over 60 songs? He was also part of the legendary “Million Dollar Quartet” who recorded at Sun Records in December 1956 and included Elvis Presley, Johnny Cash and Carl Perkins. The famous “Million Dollar Quartet” L-R: Jerry Lee Lewis, Carl Perkins, Elvis Presley (at Piano) and Johnny Cash. December 6, 1956. Which brings me to the next artist. Carl Perkins. As of only a few months ago, I had never heard of this man. I don’t know if it’s because I have only recently started my extensive study on Early Rock n Roll OR if it’s because Carl Perkins is, quite simply, the most under-rated musician of all time. It started one day several months ago when I was listening to the “Malt Shop Favorites” channel on Direct TV. I heard “Blue Suede Shoes” playing, but it sounded different; I knew it wasn’t Elvis’ classic version. I hit the info button and discovered that the artist was Carl Perkins. His song “Matchbox” is now one of my very favorites. And, after further research, I found out that Carl Perkins actually wrote “Blue Suede Shoes” and “Honey Don’t” — to name a few! Don’t get me wrong. I still like Elvis, and he is The King of Rock n Roll, but Carl Perkins is The King of Rockabilly. Chelsea reaches for the best in Rockabilly music! In those days, many of the same songs were recorded by different artists. I’m not talking talking about remakes, made many years later. I’m talking about the same song being covered by different artists during the same era. There are many songs that I have never heard by my favorite artists that I’m discovering all the time. It’s exciting to find out new things about these fabulous songs called “oldies” – it keeps the excitement alive and fresh. By looking things up online, listening to great radio programs (such as The Grooveyard!) and purchasing CD compilations, I’m learning more about music all the time. And this is one class I don’t want to miss! Chelsea cuddles up to another set of classics! Disclaimer: All photos and media in this post are used in the fair use/public domain context. I do not own any media; the original owners retain all copyrights. Special thanks to my girl Chelsea (1998-2018), who for some reason loved cuddling with CDs! Previous postThis Time It’s Personal: I Can’t Think in 50’s Sometimes. Next postFifties Fashion Fix: DIY Fifties Fashions!